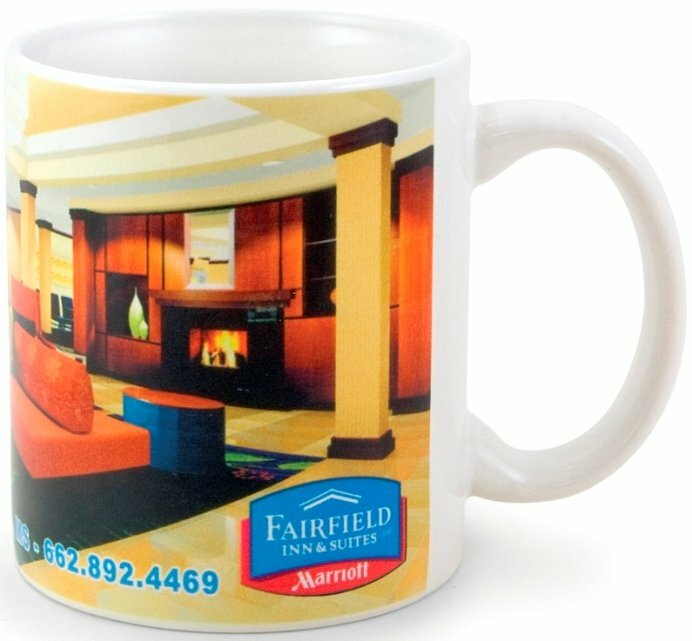 Our most popular and cost effective four color process mug with your logo. We are a software company and I was assigned the task of finding a item we could print our four color process wild new art on all the way around the mug. I talked to the sales manager on the phone, he assured me they could do it. He was right, crystal clear imprint right. The mug is good quality too. I am happy and will order again.